I’ve had it for more than a decade after building this Harley Panhead bobber from swap meet parts. I’d ridden it a lot years ago, but not so much recently. So I mentioned on Facebook that I’d consider selling it “for the right price.” This was a first for me, but I had a buyer within a few hours and payment in a few days. I wish I could keep all my motorcycles, but that’s not realistic. I love classic motorcycles and have to thin the herd occasionally to make room and to pay for the additions to the family. Because I do not ride this Harley Panhead enough to justify keeping it, I am selling it to someone, out West, who I hope will ride it more than I have in the last few years. Here are a couple of photos of the old Panhead in the snow in front of the American Iron Magazine offices in Connecticut. The truck is waiting off-camera to take it to the new owner. 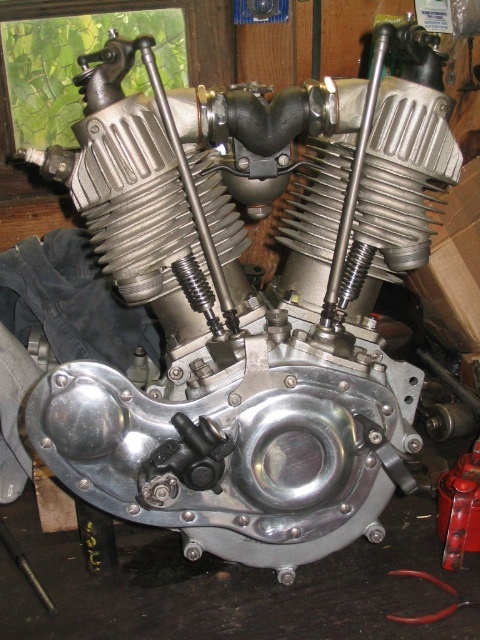 The way I see it, my selling this Panhead gives my some space in the garage and cash to do other classic motorcycle projects. And I know there will always be others I want to build, own and ride.